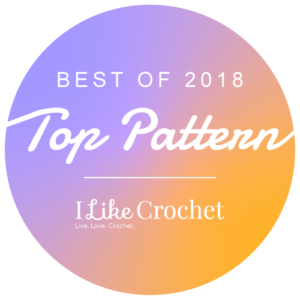 What a month…just last month I was working the last 2018 square for the Moogly CAL…now I am working up the second square of the Moogly 2019 CAL! 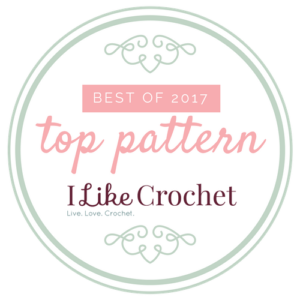 Check out all the squares for 2019 here, and the 2018 square here. 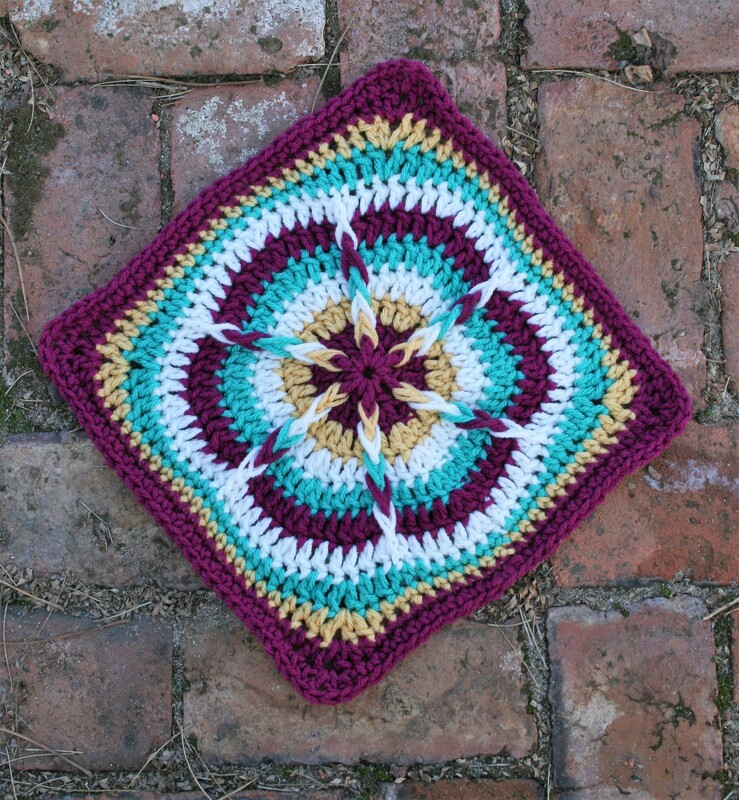 I feel very privileged to be able to share with you this latest design, the Festive Julie Ann Square. Inspired by my student Julie Ann, who loves to work in the round, and makes a festive atmosphere where ever she is going. The square uses long post loops, to create a stunning color play of the eye. 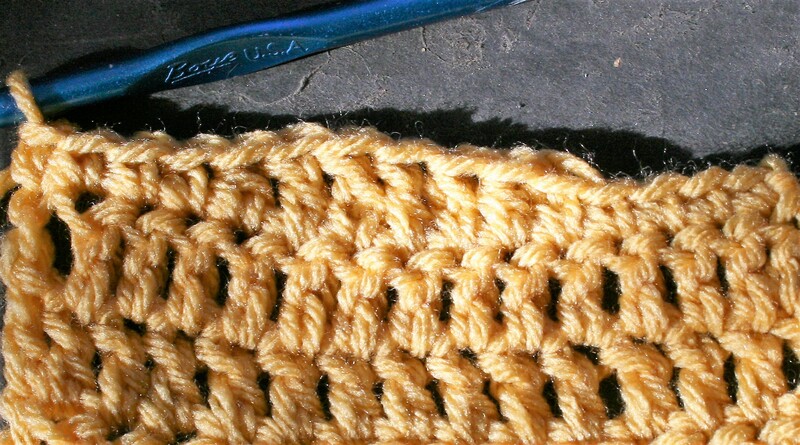 Working this square for some reason always makes me think of flowers, I guess that is one of the reasons I see it as festive. 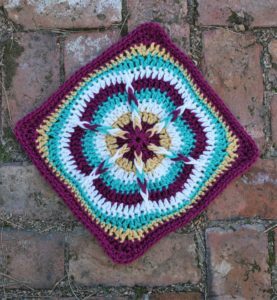 Bring in the New Year with a bright star of festival with this square that elongates some post stitches to create a planned bleeding of the colors. 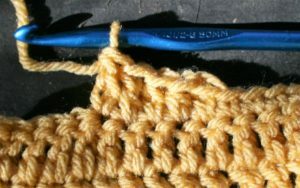 Long Loop Front Post Double Crochet (LLfpdc): Working over post stitch of previous round, YO, insert hook around post of stitch 2 rows below from back to front and right to left, YO, pull up a loop about an inch in height, (YO, pull through 2 loops) twice. Note that you will work a double crochet and a post stitch in the same stitch. 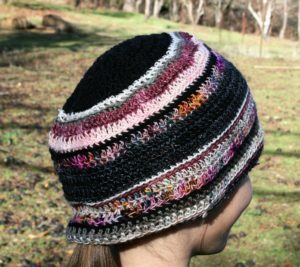 I just completed the Craftvent CAL from Jimmy Beans Wool (if you missed it, but want to work up the pattern, find details here). When I was done, I had several little yarn ball left overs, so I had to find something to do with them. 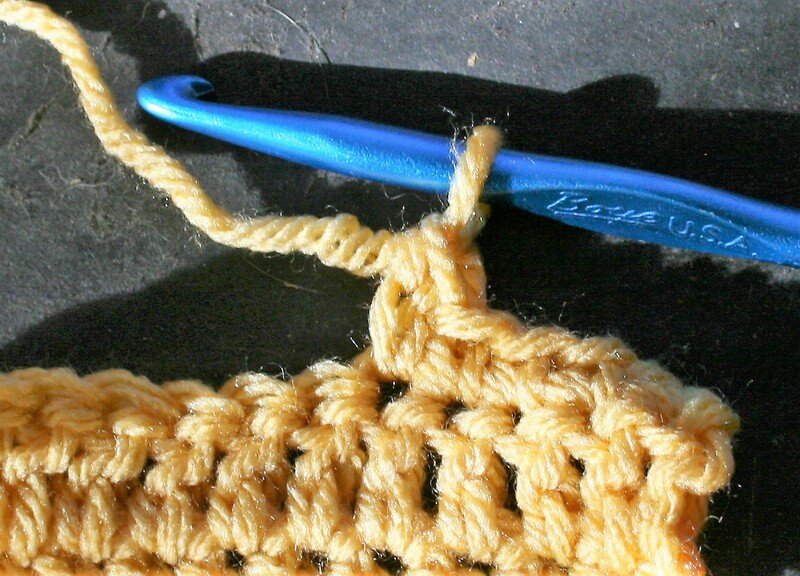 Yes, I am one of those crocheters, the type that does not like to waste any yarn. 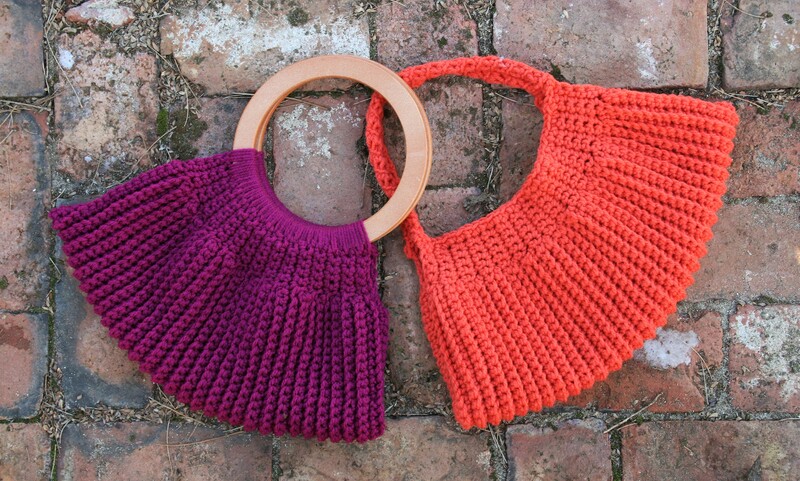 This means that I have options for scrap projects. With these left over bits, from the “Sugar Plum” colors of the project already go really well together, so visually anything will look pretty good. 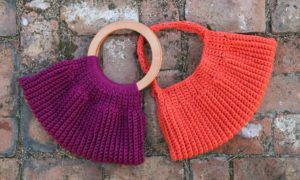 I started out thinking I would make a little draw string bag, but as I got into the project I realized that I had enough yarn to actually make a hat, and a hat is going to get a bit more wear in my household. 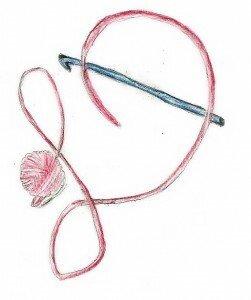 I have shared this scrap pattern below, and the notation of how you can turn this into a drawstring bag. Please note that I do not have any length of the yarn used noted, as really it is just scraps. 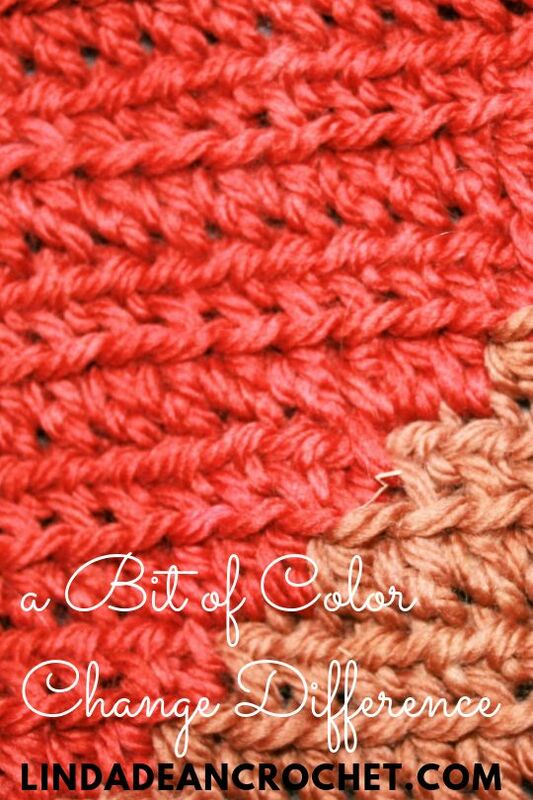 You could put any colors together anyway you want. 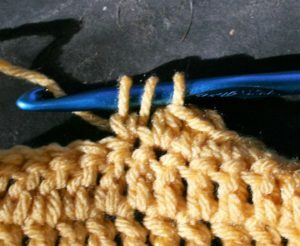 I used an H/8/5.00mm hook and light weight yarns (for a listing of the yarns in the projects, they are the same as the yarns in the Craftvent Quest Shawl, listed here). To help you hat fit perfectly, I share information here. 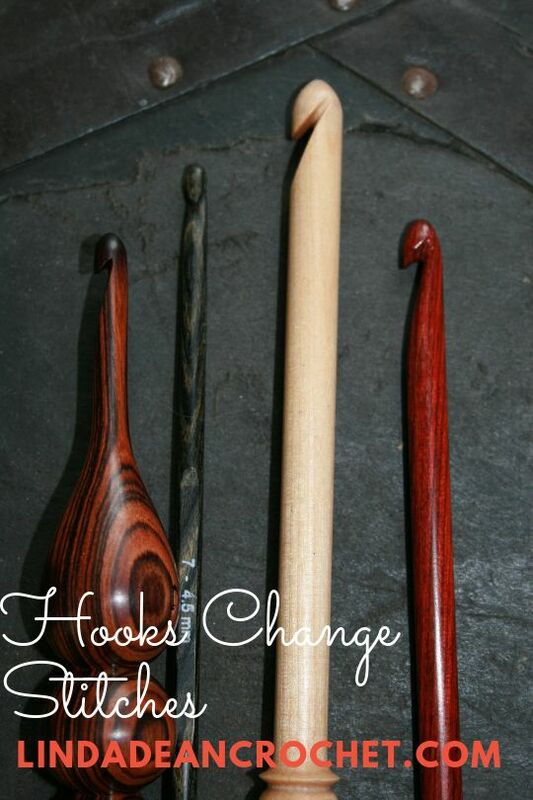 Rnd 1: Ch 4, 11 dc in 4th ch from hook, sl st to join to beg ch. Rnd 2: Ch 3, dc in same st, 2 dc in each st around, sl st to join. Rnd 3: Ch 3, dc in same st, dc in next st, [2 dc in next st, dc in next st] rep around, sl st to join. Rnd 4: Ch 3, dc in same st, dc in each of the next 2 sts, [2 dc in next st, dc in next 2 sts] rep around, sl st to join. Rnd 5: Ch 3, dc in same st, dc in each of the next 3 sts, [2 dc in next st, dc in next 3 sts] rep around, sl st to join. 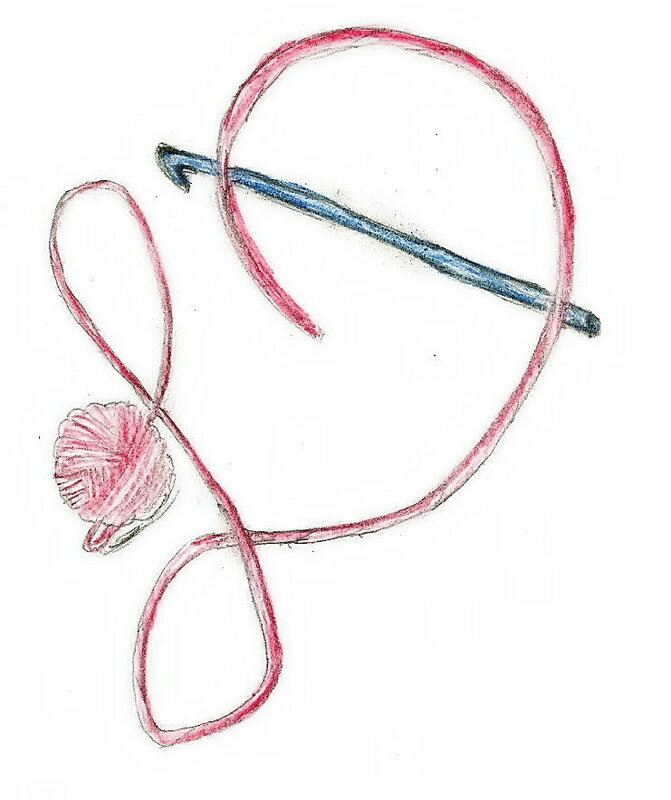 Rnd 6: Change color, ch 1, 2 sc in back loops of same st, sc in back loops of next 4 sts, [2 sc in back loops of next st, sc in back loops of next 4 sts] rep around, sl st to join. 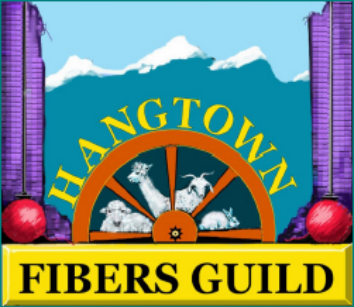 Rnd 7: Change color, ch 1, 2 sc in back loops of same st, sc in back loops of next 5 sts, [2 sc in back loops of next st, sc in back loops of next 5 sts] rep around, sl st to join. Rnd 8: Change color, ch 3, dc in back loop of same st, dc in back loop of next 6 sts, [2 dc in back loop of next dc, dc in back loop of next 6 sts] rep around, sl st to join. Rnd 9: Change color, ch 3, dc in each st around, sl st to join. Rnd 10: Change color, ch 1, sc in back loop of each st around, sl st to join. Rnd 11: Change color, ch 3, dc in back loop of each st around, sl st to join. Rnd 12: Change color, ch 3, dc in each st around, sl st to join. Rnd 13: Ch 3, dc in each st around, sl st to join. Rnd 14: Ch 3, dc in each st around, sl st to join. Rnd 15: Change color, ch 1, sc in back loop of each st around, sl st to join. Rnd 16: Change color, ch 1, sc in back loop of each st around, sl st to join. Rnd 17: Change color, ch 3, dc in back loop of each st around, sl st to join. Rnd 18: Change color, ch 3, dc in each st around, sl st to join. Rnd 19: Change color, ch 1, sc in back loop of each st around, sl st to join. Rnd 20: Change color, ch 3, dc in back loop of each st around, sl st to join. Rnd 21: Change color, ch 3, dc in each st around, sl st to join. Rnd 22: Change color, ch 1, sc in back loop of each st around, sl st to join. Rnd 23: Change color, ch 1 sc in back loop of each st around, sl st to join. Fasten off. Weave in ends. Work as for Hat in Rnds 1-19. 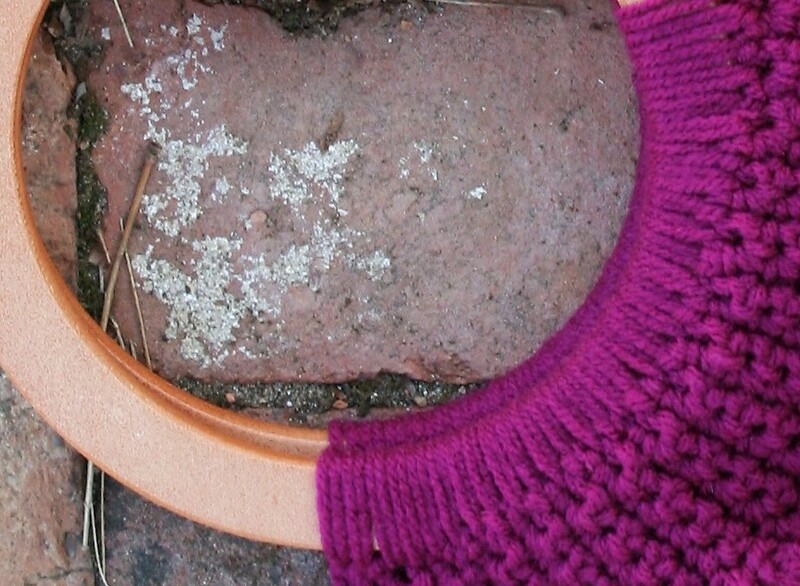 Rnd 20: Change color, ch 4, sk next dc, dc in next st, ch 1, sk 1, [dc in next st, ch 1, sk 1] around, sl st to join. Rnd 21: Change color, ch 3, dc in each st and ch-sp around, sl st to join. 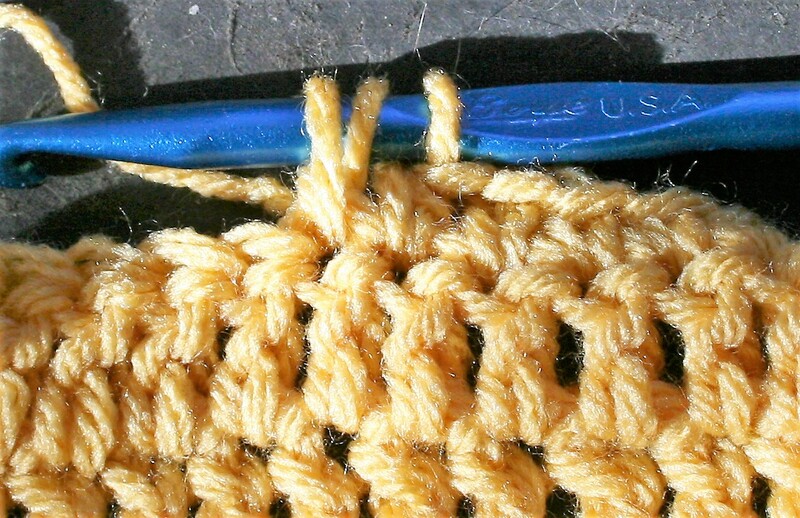 Create a chain about 50” long, turn and sl st in each ch across, fasten off. 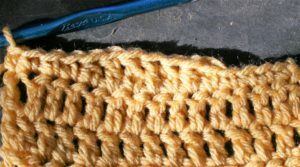 Weave drawstring through the ch-sps of Rnd 20, then weave ends around to opposite side, ensuring that the tie is wrapped around the bag twice. Tie ends of drawstring together, and pull pull closed. When I am teaching I find that if my students make a mistake, it is because they are attempting something more advanced than they had learned. 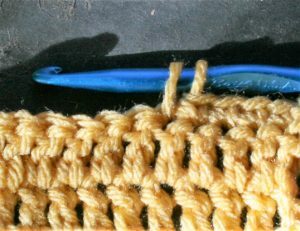 One such “more advanced stitch” is working Extended Stitches. 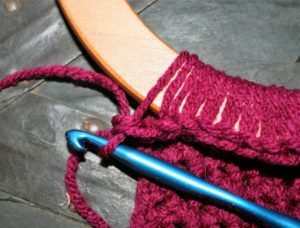 Extended stitches are a great way to make more gentle curves, or even help make gauge, and they are pretty easy to create. 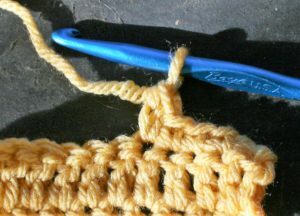 The technique of extending can be used with any crochet stitch, and only adds one additional step. 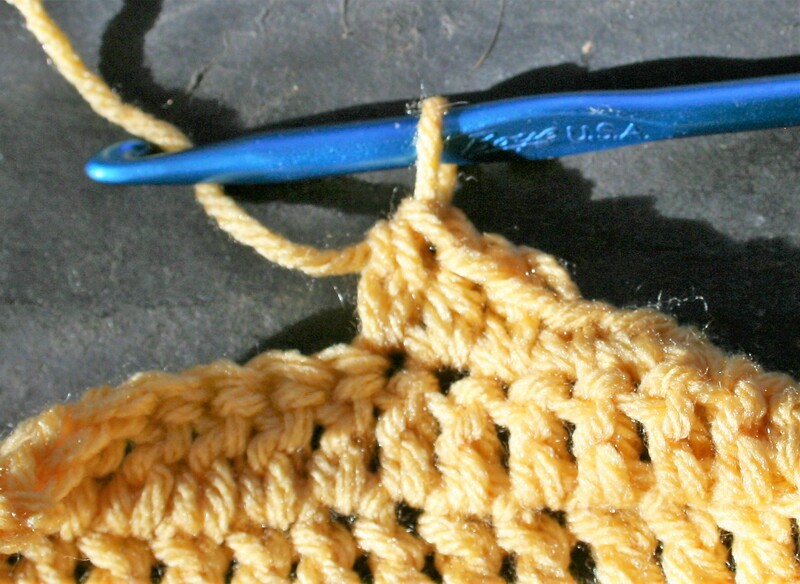 To create the stitch you start whichever stitch you are work, just as you always do. 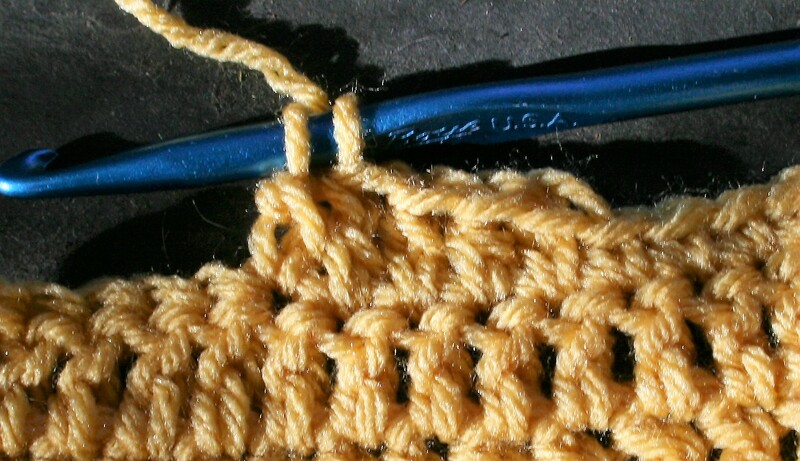 Meaning if you are creating a single crochet, insert you hook in the indicated stitch, yarn over and pull through; if you are creating double crochet, yarn over then insert in you hook in the indicated stitch, yarn over and pull through. The extension happens right after the “yarn over and pull through”, this is the point in a stitch that I refer to as “anchoring” as it secures the stitch being created to fabric being created. 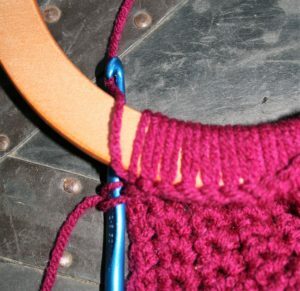 After “anchoring the stitch” you yarn over and pull through a loop, essentially creating a chain. 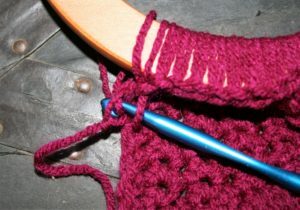 Then you complete the stitch as usual. 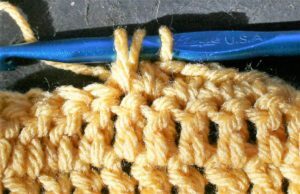 This little added chain gives a little extra height to the stitch, however it does not make it as tall as the next typical stitch in crochet. 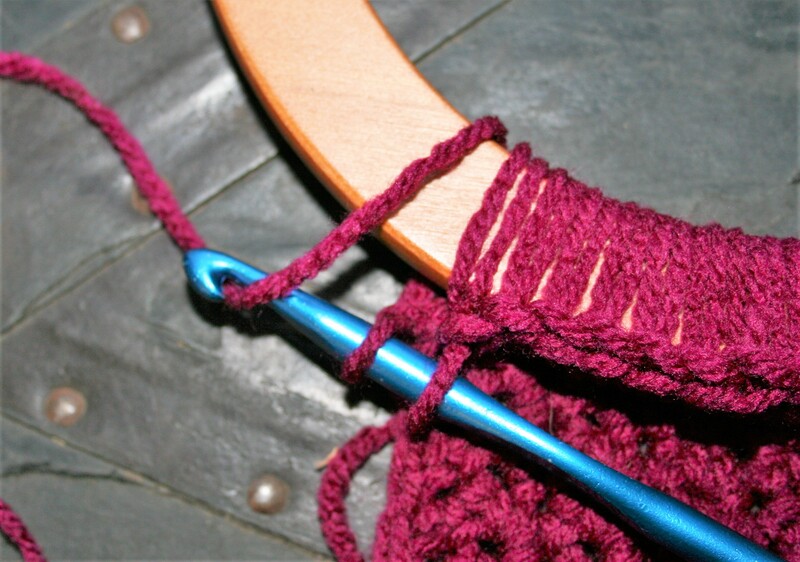 This helps create a gentler curve in a gradual stitch taper. 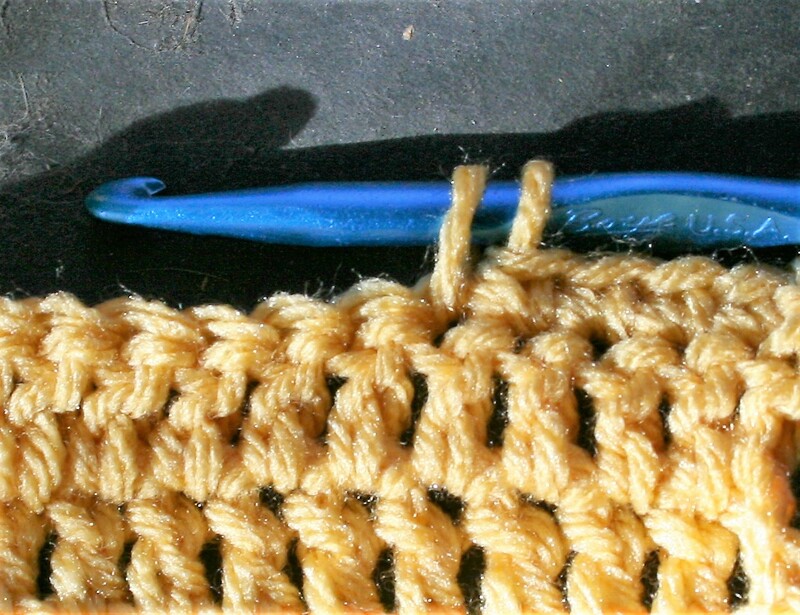 There is only a slight difference in the appearance of these extended stitches, and that is a little extra “v” at the base of the stitch post. 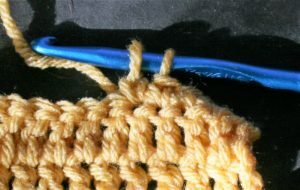 Insert hook into indicated stitch, yarn over pull through a loop to anchor, chain one, yarn over and pull through 2 loops. 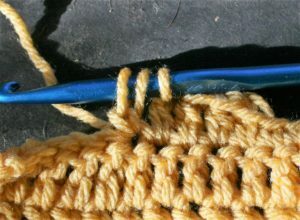 Yarn over, insert hook into indicated stitch, yarn over pull through a loop to anchor, chain one, yarn over and pull through 3 loops. 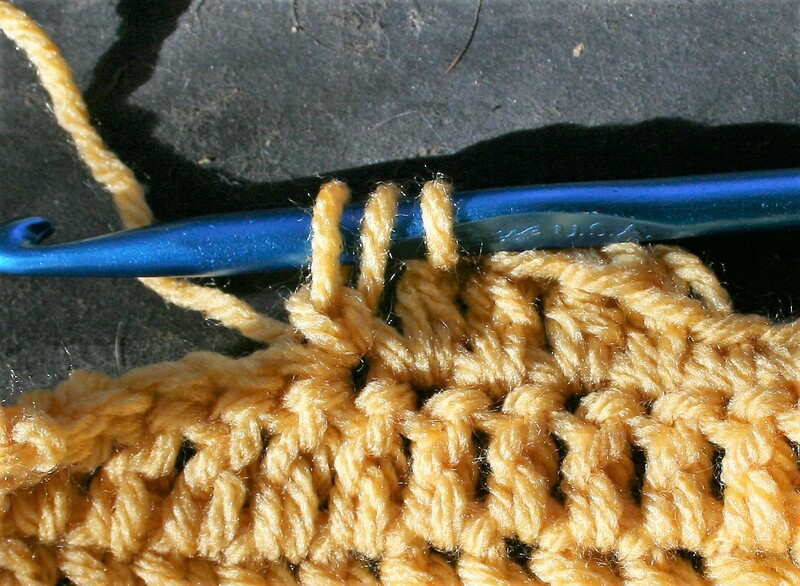 Yarn over, insert hook into indicated stitch, yarn over and pull through a loop to anchor, chain one, yarn over pull through 2 loops, yarn over pull through 2 loops.